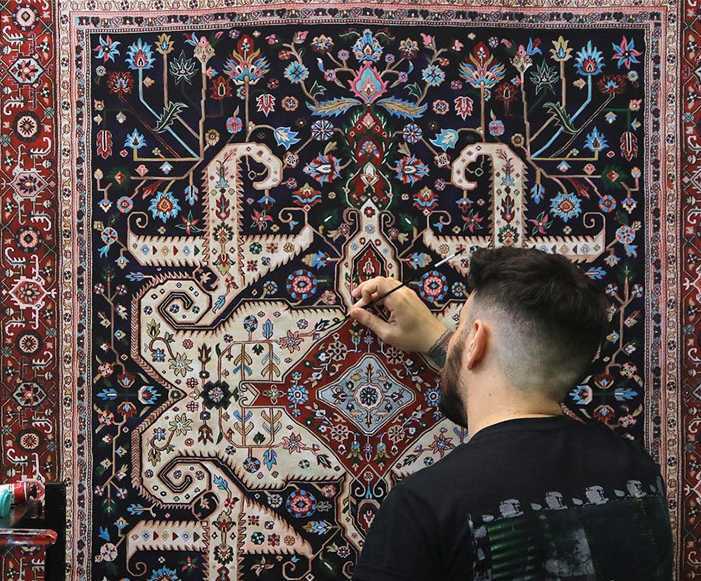 In his new series of paintings, Miami based artist Jason Seife very skilfully replicates the patterns of old Persian carpets using acrylic paint and ink. While using motifs and patterns commonly seen in traditional Persian rug designs the artist also introduces colours not normally associated with heavy textiles thereby creating his own versions of the traditional Persian carpet weavers work. Remarkably, the artist is almost colour blind and having regard to the intricate nature of his work, he must surely have the patience of a saint. Images courtesy of Miami based Robert Fontaine Gallery.